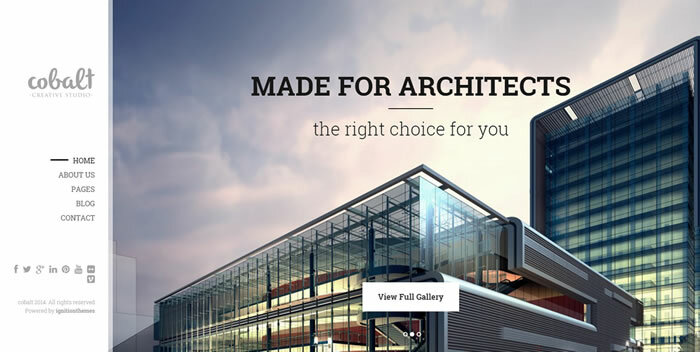 Beautiful collection of best construction business, architects websites HTML templates also suitable for building architects, interior designers, construction business, building contractors, civil engineers and similar businesses. Download now. For any architect, construction business or construction company, need a professional looking website. Usually if you approach to any web developer to build a website for your business, they are asking you to refer some websites which inspires you in the similar category and they start building websites based on your reference. But such websites not so unique and does not helps you a lot. Before to design a website for building construction / architects websites, you must need unique, great looking, feature rich and modern HTML template. Here we hand picked such a beautiful clean & stylish, unique HTML templates fits perfectly for building architects, interior designers, construction business, building contractors, civil engineers and similar businesses. Have a look on these and find the perfect one for your business. 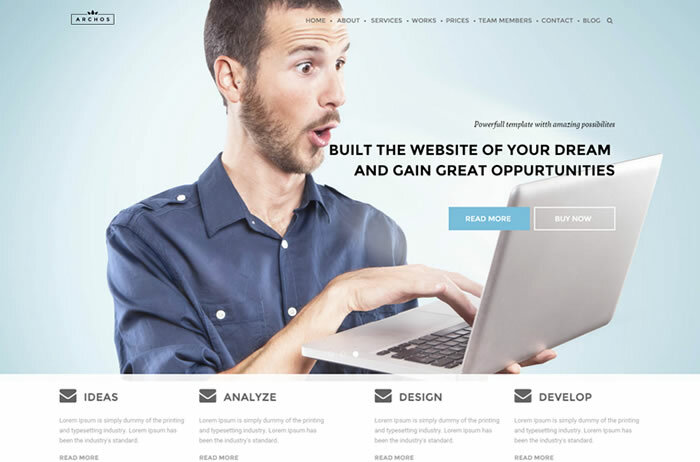 All of these are very powerful, easy to customize best construction business, architect websites HTML templates with 100% ultra responsive layout fits across all kind of device displays including smartphones and mobile phones. Manopera is pixel perfect, clean & minimal professional construction HTML theme comes with 3 unique and different home page layouts and 15 HTML pages including services, about, portfolio, blog and contact page templates. Manopera is 100% responsive, retina ready HTML template suitable for construction companies, building architectures and small companies which offers building services. Its cross browser compatible HTML template enabled with CSS animations / effects and built to support Google web fonts as well as Font awesome icons. 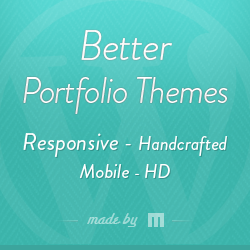 Designed using bootstrap 3 framework and bundled with all PSD files which used to develop manopera HTML template. 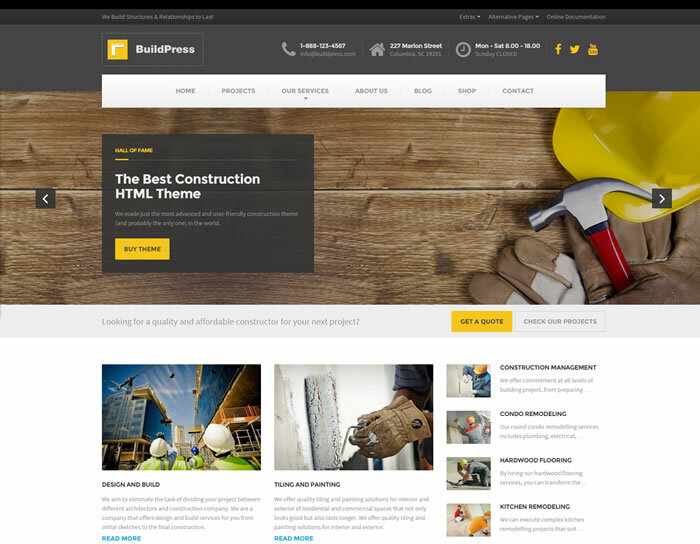 BuildPress is one of the best selling construction business HTML template suitable for building contractors, architects, construction management and construction company websites. Buildpress is 100% responsive, retina ready HTML template designed based on bootstrap 3 framework and enabled to support boxed / wide layouts, sticky menu and built with 4 beautiful colour skins. Buildpress HTML template has 20 pages of HTML layouts including with filterable portfolio, working contact form, services, blog, shop page templates along with useful shortcodes, pricing tables, Google maps, font awesome icons fonts, Google web fonts and lot more. Construction is very flexible and easy to use HTML template built using Bootstrap 3 framework. 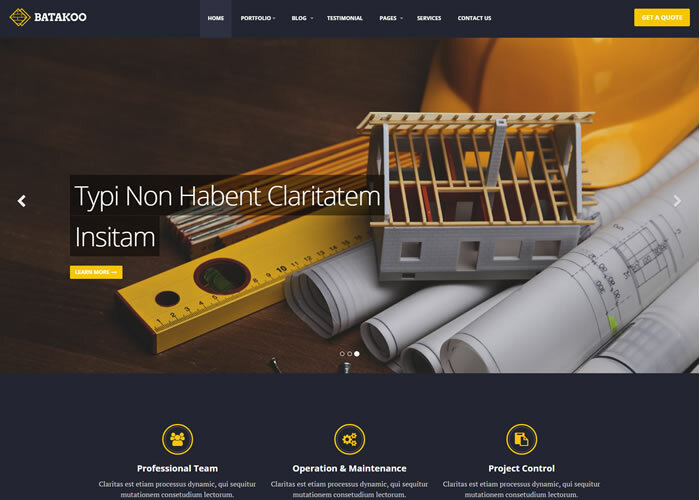 Its fully responsive, retina ready HTML template suitable for construction companies, builders, architects and any websites related to construction businesses. Construction comes with beautiful header slider powered by Slider revolution jquery plugin ($14) with highly customizable, transitions, effects and custom animations. Built to support Google maps, Google web fonts, Font awesome icons fonts and bundled with 13 layered PSD files. Similar HTML Themes / Templates You may like…. Renovation is very powerful and easy to customize HTML template built using HTML5 Boilerplate frontend framework. 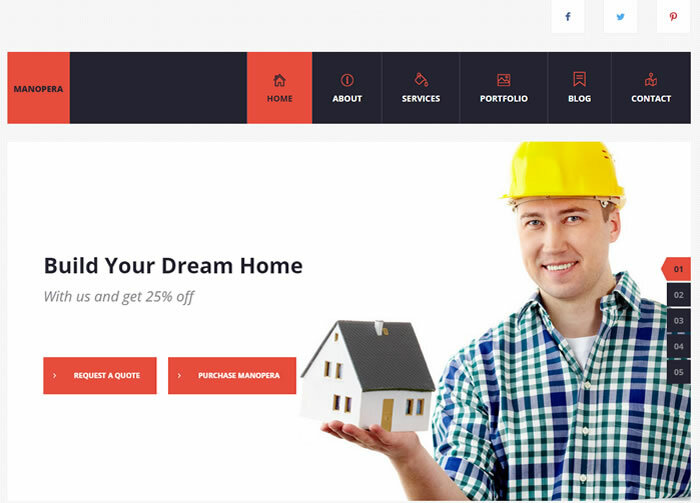 Suitable for architect, construction business, civil engineers, interior designers, builders websites and renovation template built to support unlimited color schemes. Integrated with Slider revolution ($14) jQuery plugin handles awesome sliders with beautiful transitions, effects, stunning animations and bundled with all PSD files used to develop renovation HTML template. Cobalt is clean & light weight and very modern HTML template suitable for creative agencies, architects and building engineers websites. Cobalt is pure responsive, retina ready HTML template built using bootstrap 3 framework, comes with 6 unique home page layouts, 3 different blog pages, 3 about us page templates and 18 layered PSD templates included in the package. Cobalt template used with roboto slab Google web font and enabled to support retina ready font awesome icon fonts. Built with Owl carousel touch enabled jQuery plugin that lets you create beautiful responsive carousel slider and Magnific Popup jquery plugin to handle lightbox images so easily. 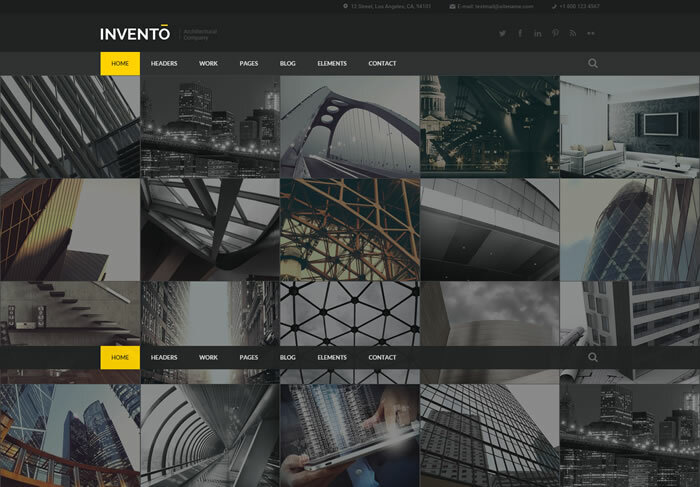 Invento is very modern, easily editable HTML template specially made for gallery, portfolio, architechture and builders websites. Invento HTML template package contains 6 gorgeous home page layouts with fullscreen slider support powered through OWL carousel jQuery script. Invento is parallax enabled HTML template, also has various header styles, sortable portfolio and gallery templates along with working widgets, working contact form. Designed using bootstrap 3 framework and gathered amazing CSS3 effects, very useful font icons, pricing tables and bundled with all PSD files as well. 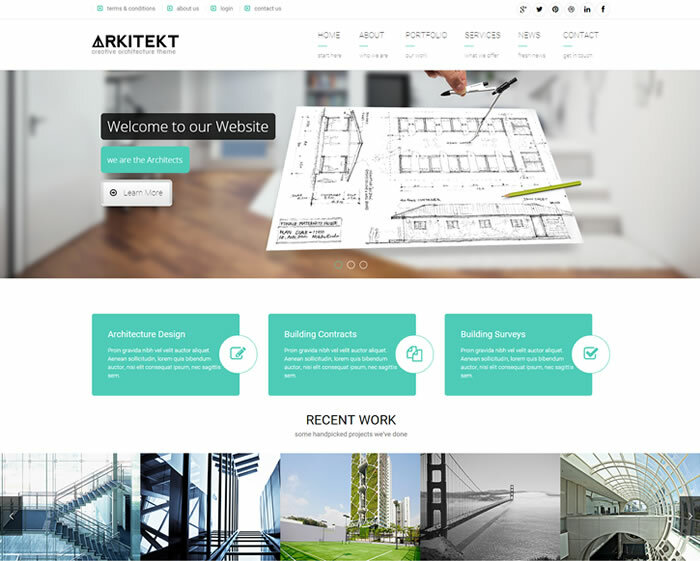 Arkitekt is unique and power packed premium architecture HTML template has 100% responsive layout, retina display compliance and enabled with awesome CSS3 effects and animations. Built with full width hero slider powered by Slider revolution (worth $14) jQuery plugin and included with useful page templates such as filterable portfolio, gallery, working contact form, shop page are very handy and much needed things before to build feature rich website. Also included with Google web fonts, font awesome icons, BXslider slider script and bundled with 13+ fully layered PSD files as well. 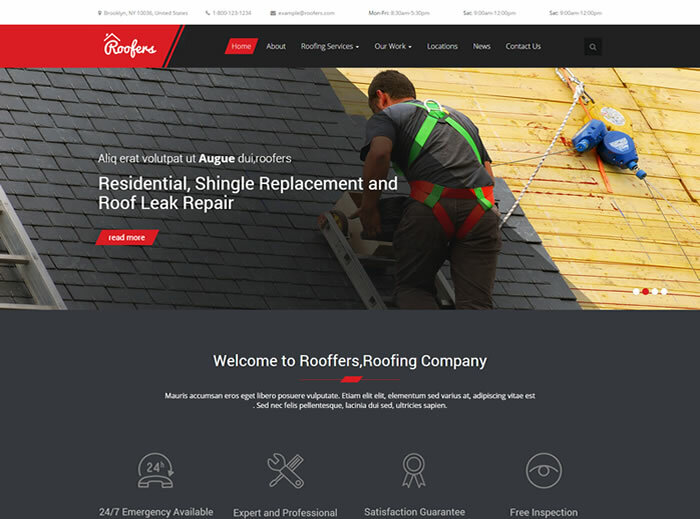 Roofers is multipurpose HTML template compliance with HTML5 / CSS3 web standards and designed using bootstrap 3 framework. 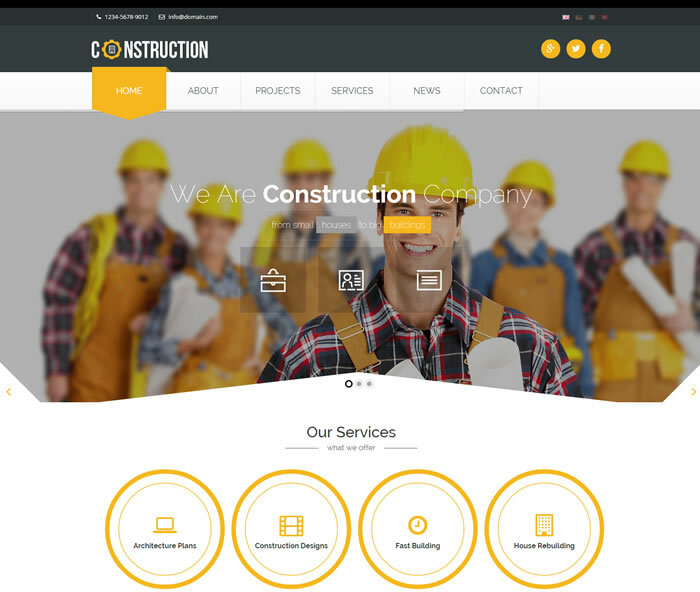 Its 100% responsive, retina ready, unique & modern HTML template suitable for construction companies, roofing contractors, roof leak repair, roof maintainance, industrial water proofing and similar businesses. Built with awesome features and handy page templates such as estimate quote form, services slider along with location finder which is very feature if you have many branches for your business. 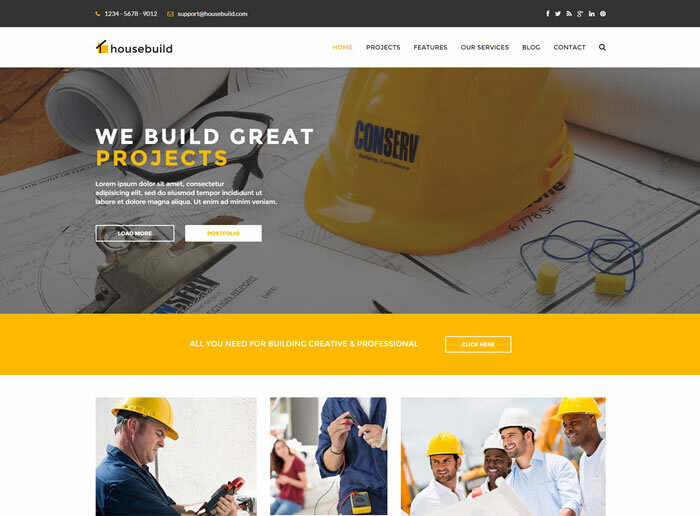 Housebuild is parallax enabled premium quality HTML template fits well for construction business, architecht and building construction websites. Customization is too easy when work with housebuild HTML template and included with Revolution slider ($14) jquery plugin at no extra cost. Comes with 3 beautiful home page layouts, 6 built-in colour schemes and built to support boxed / full width page layouts. Also has stunning portfolio, about, contact, 404 error and reservation page templates to enquire the quote prior to start working with business admins. Housebuild is 100% responsive, retina ready, well documented HTML template enabled to support font awesome icon fonts, cool CSS3 animations along with LESS CSS pre-processor files as well. 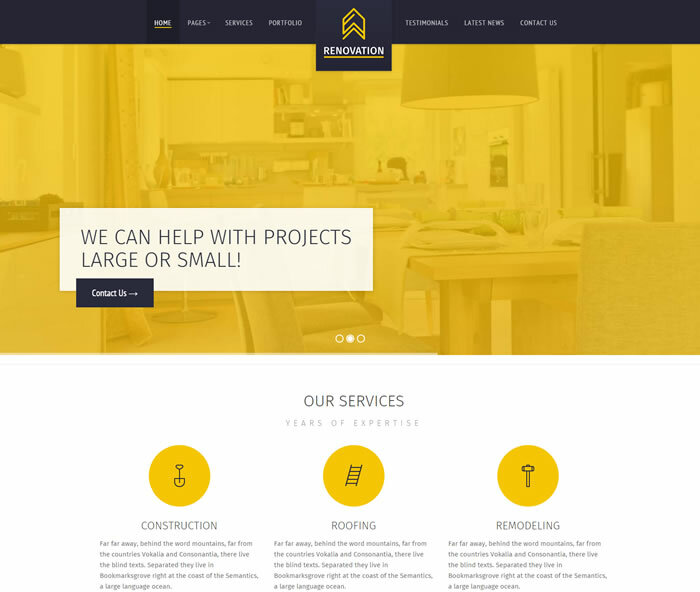 Batakoo is one of the best selling Modern Construction Business Template featured with SASS support and built using HTML5 Boilerplate and Twitter Bootstrap 3.x frontend framework. Template bundle has 15 page templates including 2 blog Layouts with standard / Masonry grid layout, blog single, FAQ, search results, 404 error page, quote and lot more. Batakoo HTML template comes with Google web fonts, font awesome icon fonts support and bundled with 10 fully layered photoshop PSD files as well. Archos is clean & customization friendly HTML template built for architect, construction business and building engineers websites. Its very powerful template contains 4 beautiful layouts with 6 colour schemes built using bootstrap 3 framework. Archos is ultra responsive, retina ready template compliance with HTML5 / CSS3 standards and included with font awesome icons, Google web fonts. Its parallax enabled HTML theme has countless amount of options / layouts and Featured with fullscreen header slider certainly attracts your website visitors. Archos is cross browser compatible HTML theme also bundled with 13 fully layered PSD templates which is very handy in near future. Construction is great looking clean style HTML template is very easy to customize and powered by Foundation 5 framework based on 1200 px grid system. Its cross browser compatible, speed optimized HTML template built with SASS, which is very powerful professional grade CSS extension to handle CSS files so effectively and helps you to loading your website even in shared hosting environment. Built with full width header slider powered by Flexslider jquery plugin and enabled to support parallax background images as well. Construction is HTML5 / CSS3 compliance, 2 column HTML template enabled to support Google maps, font awesome icon fonts and bundled with 11 layered PSD files helps you to make changes in page layout of construction HTML template. We strongly believe that above published HTML templates are very handy for your construction business website and pick the best one suitable for your business. Also we continuously update the above list with new HTML templates whenever such HTML templates published online. In case if you found any broken links, don’t forget to notify us via below comment form.